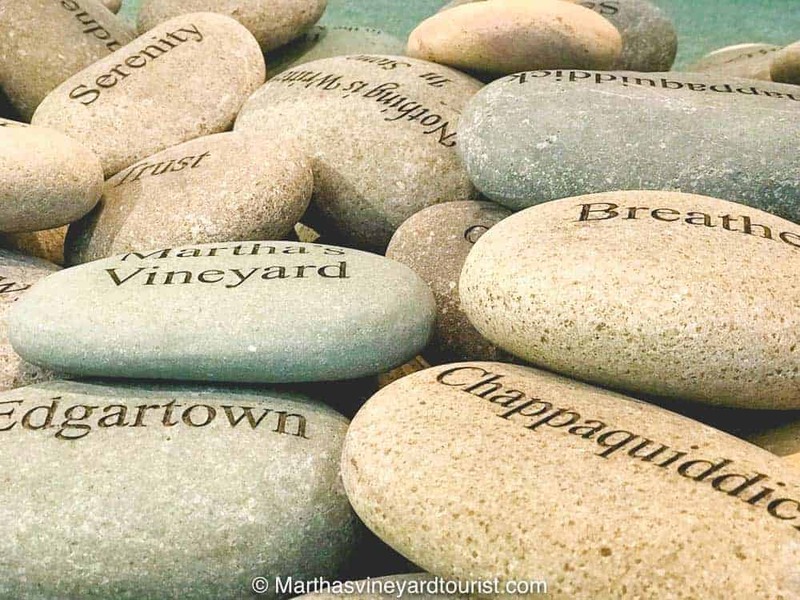 There are 6 towns on the island of Martha’s Vineyard. The three down-island towns are Edgartown, Oak Bluffs and Vineyard Haven. Upisland, there is Aquinnah, Chilmark and West Tisbury. Except for Oak Bluffs and Edgartown, the other towns on Martha’s Vineyard are dry. You can bring your own alcohol to a restaurant located in the town but they will not sell alcohol. Aquinnah is located at the very Western tip of Martha’s Vineyard. There’s the Aquinnah light house, the Wampanoag Cultural Center and a handful of shops. The houses are tucked away on large land lots here. Caroline Kennedy owns a large chunk of the area which she inherited from her mother. Chilmark is sandwiched in between West Tisbury and Aquinnah. It’s perfect pastoral beauty – rolling hills and dry stone walls. Chilmark has a reputation for being the snootiest place on the island. Its got two very good town beaches, Squibnocket Beach and Lucy Vincent Beach. 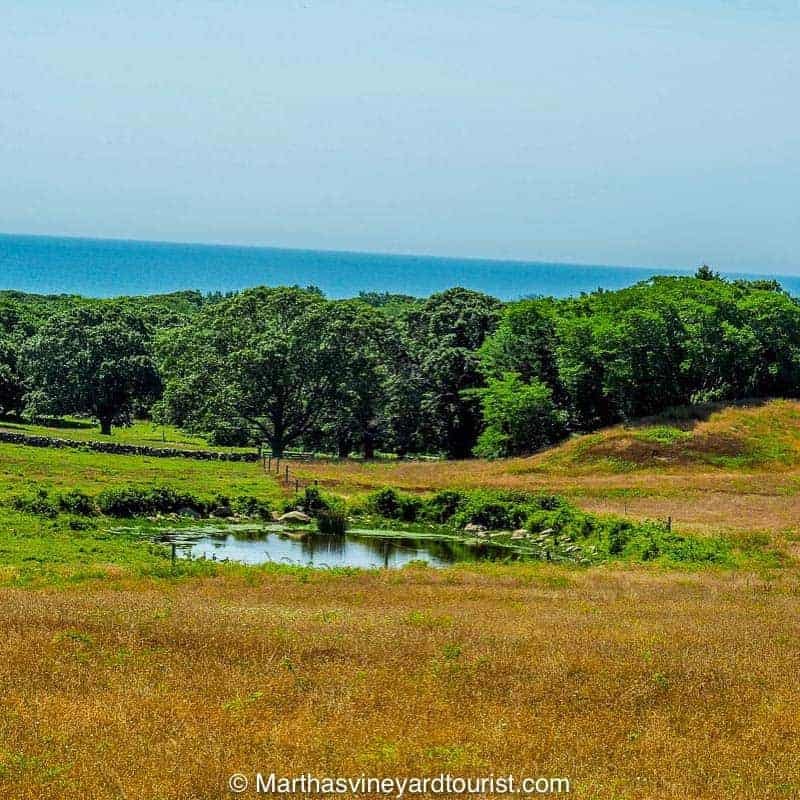 Rolling hills bounded by the Atlantic Ocean, a typical Chilmark scene. West Tisbury is also more pastoral beauty. It’s reputation though is more hippy-dippy than snooty. There’s a charming little town with Alleys, an all-encompassing general store, a terrific library and art galleries. 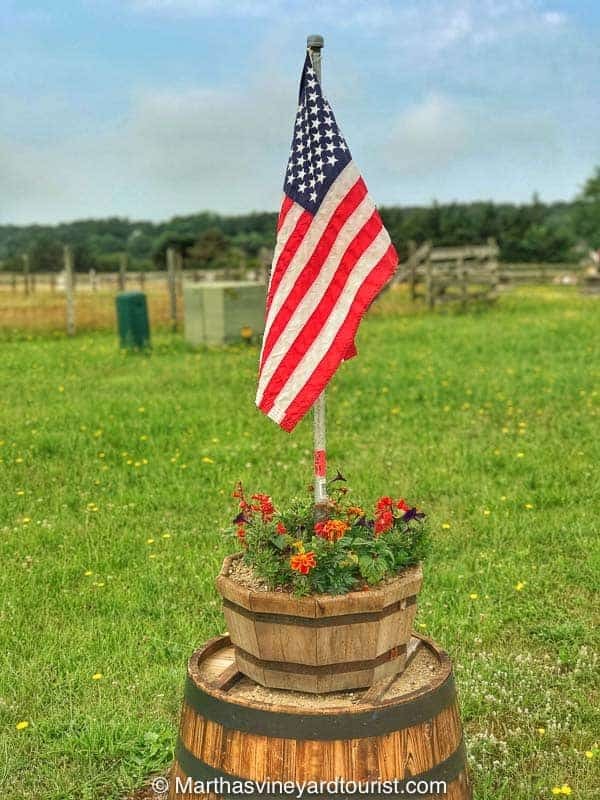 Every year the annual Livestock Show and Agricultural Fair is held in August in West Tisbury. Edgartown is known for its elegant white Greek Revival houses built for the whaling captains when this town was the whaling capital of the area. Edgartown has lots of amenities such as hotels, restaurants, boutiques and museums. Although an island, Chappaquidick is part of Edgartown. You get to Chappy by taking the dinky little car, bike and passenger ferry across Edgartown Harbour. Chappy has got no amenities – just one store called appropriately The Only Store and looks something straight out of Deliverance. It’s home to the beautiful Cape Pogue Nature Reserve. One summer when some college kids threw a raucous party that lasted into the early hours of the morning at a house on Chappy, the neighbours complained. The Edgartown police had to walk up the ferry man and then take the ferry over to break up the party. Needless to say, they were not pleased. Oak Bluffs started as a tent city which served as the camp ground for the annual Methodist camp meetings in the 19th century. Originally a part of Edgartown, Oak Bluffs became its own town. To the extent Martha’s Vineyard has a party town, Oak Bluffs would be it. There is live music, bars and dining options. Circuit Avenue is the main drag in town and filled with people late into the evening. 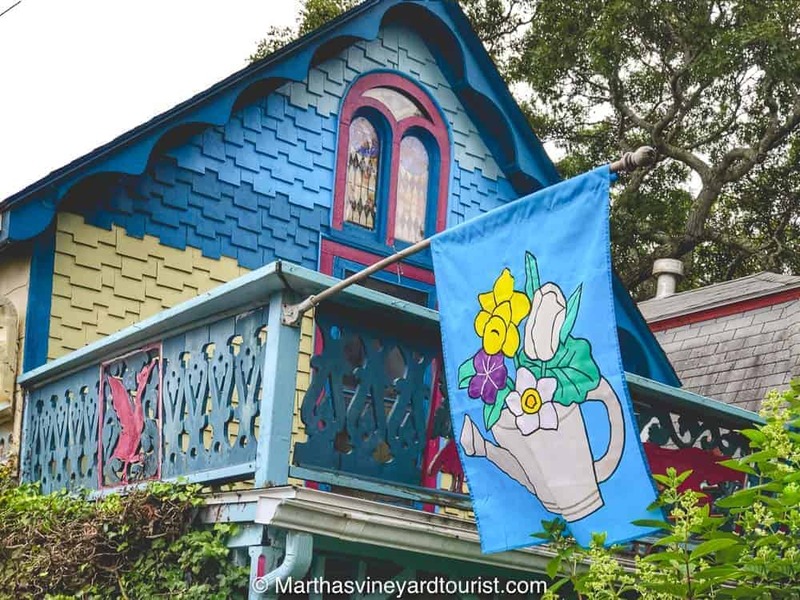 Vineyard Haven is the most practical of the towns on Martha’s Vineyard. It has year-round ferry service and so is the home of many year-round residents. There’s a charming Main Street with boutiques, restaurants and galleries. 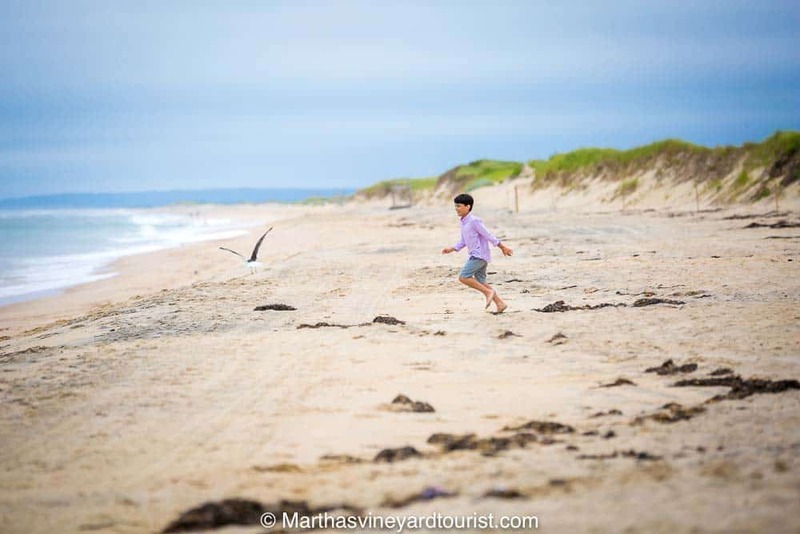 There are three types of beaches in Martha’s Vineyard: private beaches, town beaches and public beaches. The private beaches – you guessed it – are private. The town beaches are open to a specific town’s residents. 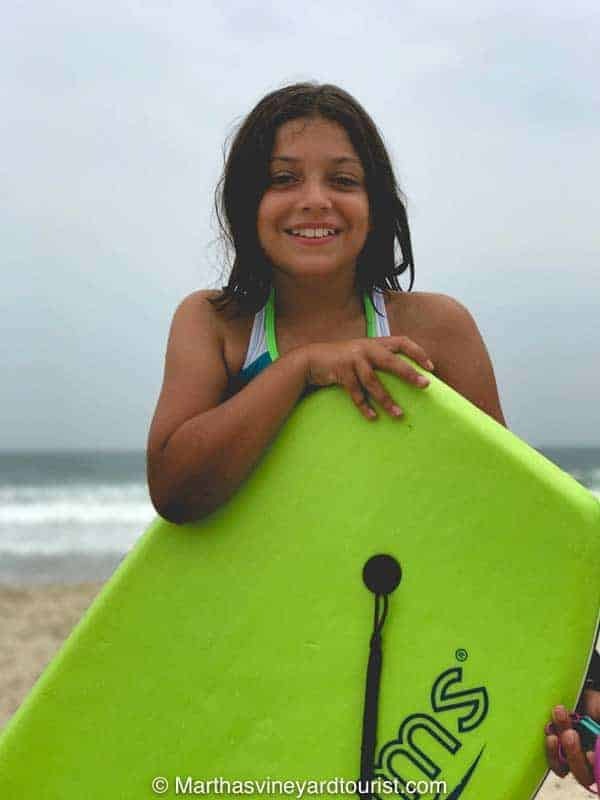 You need a beach sticker (or a walk-on permit) to access a town beach. The public beaches are open to anyone on the island. These beaches are mostly public beaches but there are some town beaches too. Off season, all the town beaches are open without restriction. These beaches are all open to anyone who rocks up but be aware that parking may be an issue. Down the road from the Aquinnah light house, Moshup Beach is a charming beach wedged between the Aquinnah cliffs and the Atlantic Ocean. There’s limited parking. The Menemsha Public Beach is not the best beach on the island in terms of sand, width or parking. What it does have is epic sunsets! The water is calm and its easy for kids to play in the sand and water. My kids adore Long Point Wildlife Refuge which is owned by the Trustees of the Reservations. On the one side, you’ve got a calm pond perfect for wading quite far out even for little kids. There’s a sandy beach which is also good for building endless sandcastles and marinas. On the other side you’ve got the Atlantic Ocean with its big waves. You can rent kayaks and stand up paddle boards at Long Point. Parking is limited and so on a good beach day all the parking will be taken by 11 AM. State Beach runs from near Edgartown to Oak Bluffs. It’s easy to get to from the bicycle path. There’s also good parking facilities. On one side, you’ve got Nantucket Sound and on the other side, there is Sengekontacket Pond. There is wind-surfing, kayaking, stand up paddle boarding available on Senge. Jaws Bridge (named because it appears in the movie Jaws) is a popular spot to jump into the water. South Beach is a wide sand beach that stretches for about 3 miles. It’s got good surf, easy parking and is a popular beach. We love these beaches owned by the Trustees of the Reservations. Cape Pogue is where the infamous Kennedy Chappaquidick incident happened. Cape Pogue is wide, sandy and generally uncrowded. There are jeep tours where you can go out to see the Cape Pogue lighthouse. You can also get a beach permit to take your car onto the sand. We haven’t visited Wasque in a couple of years. Last we heard, the beach had been washed away by the encroaching Atlantic Ocean. Similar to Fuller Beach in Edgartown, this beach is subject to the vagaries of nature. We went to this beach years ago when we rented a house in Vineyard Haven. They told us it was a bumpy road but they didn’t tell us how bumpy!! I seriously did not think our mini-van would make it. I had visions of strapping two babies onto Baby Bjorns and walking to get help. The beach itself is nice but you do need a 4 wheel drive to get there. 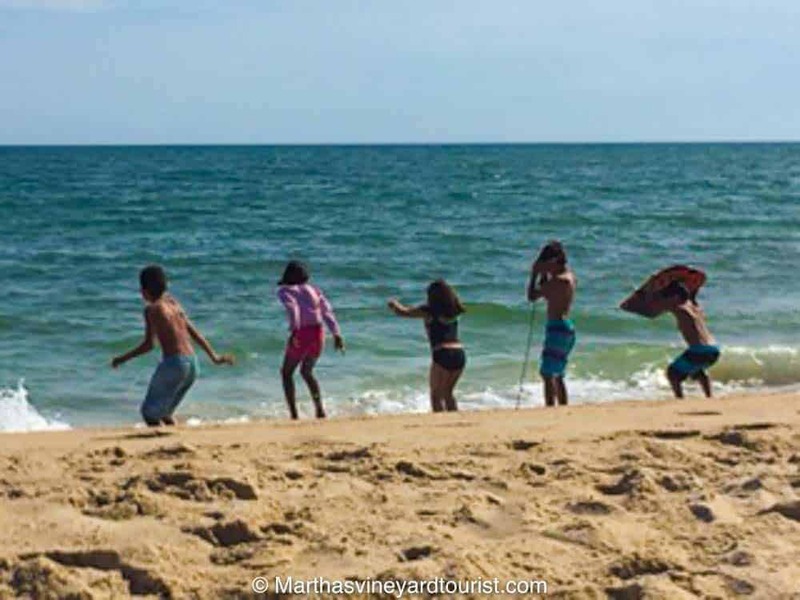 Think you can sneak onto a town beach during the summer season when they are limited to town residents? Good luck with that. They are fiercely guarded by teens who are paid to check for beach permits. 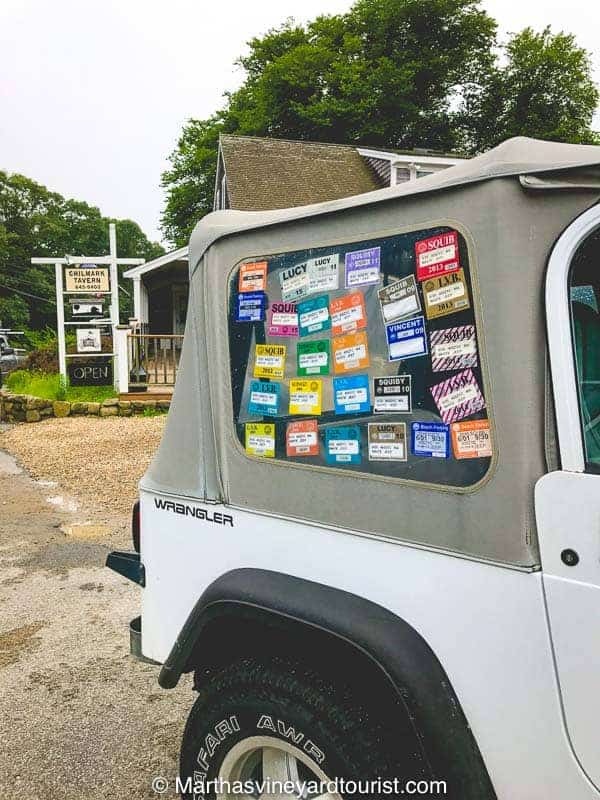 An island car festooned with beach stickers collected over the years. A family friend’s teenage son has told us hilarious stories of people who try to lie and cheat their way onto the beaches. For example, “I took a wrong turn and I’m simply going to turn around” leads to a quick park and a run for the beach. Lambert’s Cove Beach is a West Tisbury town beach. It’s a gem of a beach bordering the Vineyard Sound with good sand and clear waters. It’s got amazing sunsets which get a lot less crowded than the Menemsha Town Beach sunsets. Lucy Vincent Beach is a town beach for Chilmark. It’s a firm favourite with teenagers for its big Atlantic waves great for surfing and bodyboarding. Squibby is a town beach for Chilmark. It’s a beautiful location and great for surfing. I saw this list on Martha’s Vineyard store. 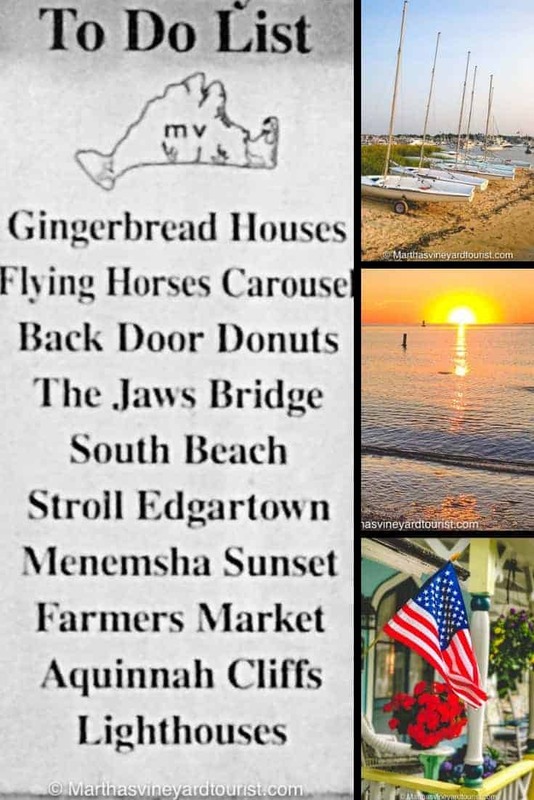 I thought it was a pretty good list of things to do on Martha’s Vineyard that covers some of the less well-known touristy things to do on the Vineyard. So what’s this list referring to? Gingerbread Houses refer to the 300+ colourful cottages that make up the Methodist camp ground in Oak Bluffs. You can access the Gingerbread Houses right off Circuit Avenue (for example, near Sharky’s). The Flying Horses Carousel is also located in Oak Bluffs. It was brought to Martha’s Vineyard from Coney Island in 1884. It is the oldest operating carousel the USA. Another Oak Bluffs favourite, Back Door Donuts are an Island tradition. Every evening after the stores close, Martha’s Vineyard Gourmet Cafe and Bakery opens its back door onto the parking lot. They serve up fresh piping hot donuts and apple fritters straight from the kitchen. Super delicious and super unhealthy. The Jaws Bridge refers to the American Legion Bridge on State Beach. The name comes from the movie Jaws upon in which the bridge features. 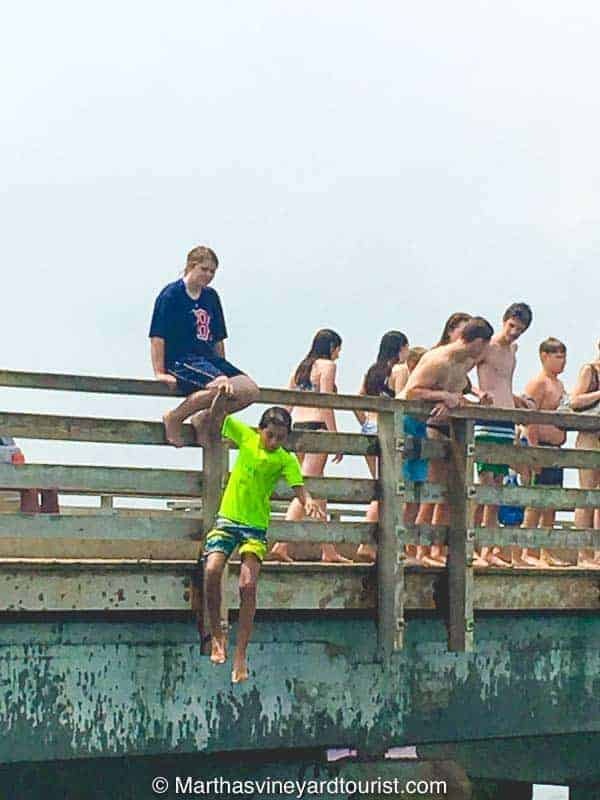 Every day people clamber onto the bridge to jump into the water below. My kids think it is the best thing ever. Personally my husband and I don’t see the attraction. The 3 mile beach on the edge of Katama, South Beach faces the Atlantic Ocean. The beach is wide, sandy and popular and the waves can be fierce. It’s one of the most popular beaches of the island. 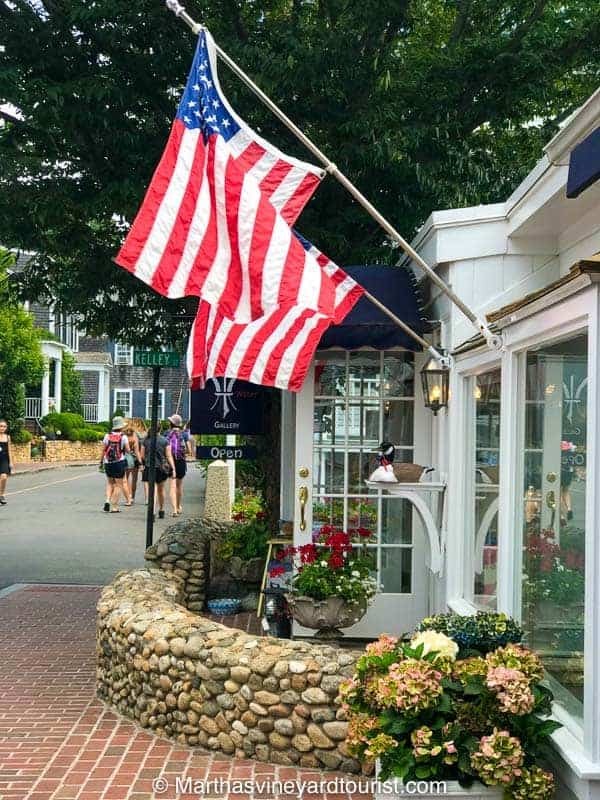 Coming from Katama, the nearest town is Edgartown with its beautiful white whaling captain houses and charming boutiques. 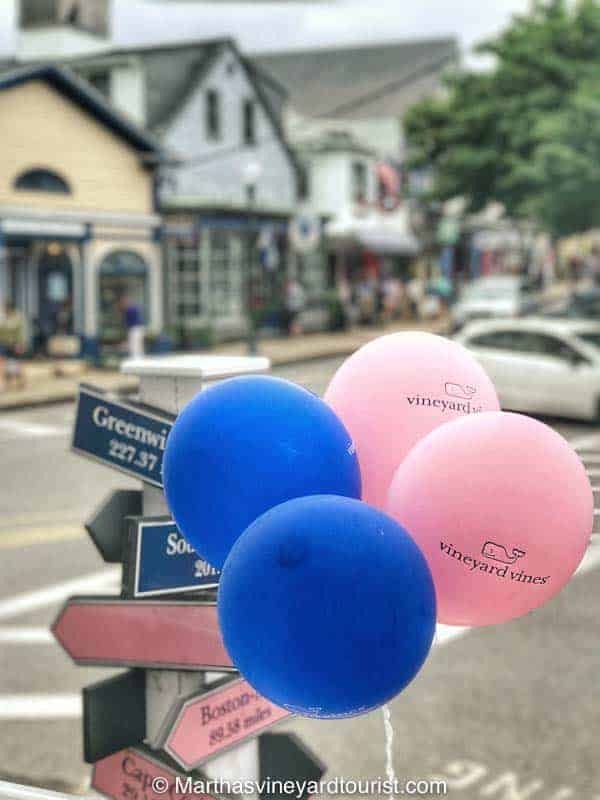 It’s definitely worth a stroll in Edgartown to watch the boats in the harbour, browse around the stores and eat ice cream. The Menemsha sunsets are glorious assuming it’s not a cloudy day. Every year we take a picnic and have dinner on the beach and watch the sunset. Some evenings we are unlucky and the clouds roll in at the last minute. The sunsets when they do happen are totally worth taking the chance though. There are farmers markets galore (as well as farm stands) in Martha’s Vineyard thanks to the long agricultural tradition of the island. We are talking fresh corn, heirloom tomatoes and delicious pies. Simply delish. 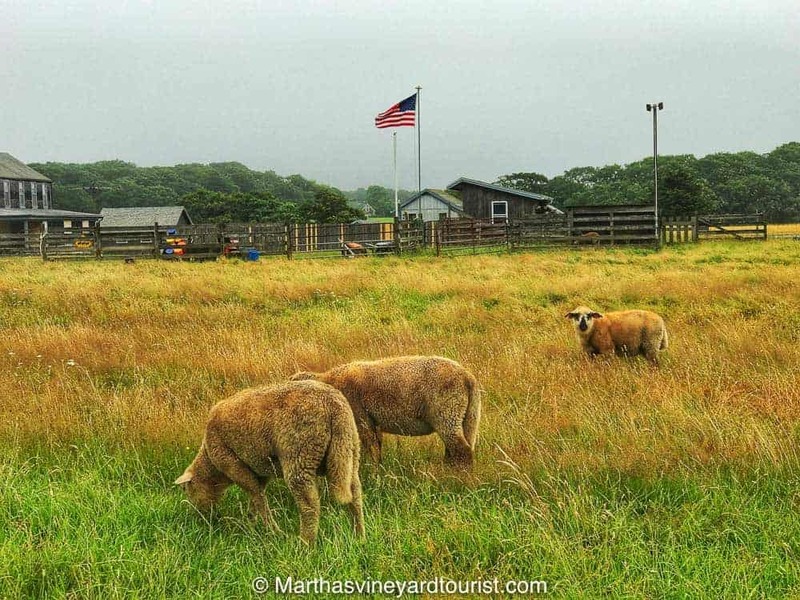 One of the many farms remaining on Martha’s Vineyard. The Aquinnah Cliffs are a stunning vertical drop of coloured chalk cliffs that drop into the sea. The cliffs have suffered from erosion over the years and the Aquinnah lighthouse had to be moved back from the edge of the cliffs. There are 5 lighthouses on Martha’s Vineyard but they open at different times. They are East Chop Lighthouse, West Chop Lighthouse, Edgartown Lighthouse, Cape Pogue Lighthouse and Aquinnah Lighthouse. Check out the time before you go if you want to climb up to the top. 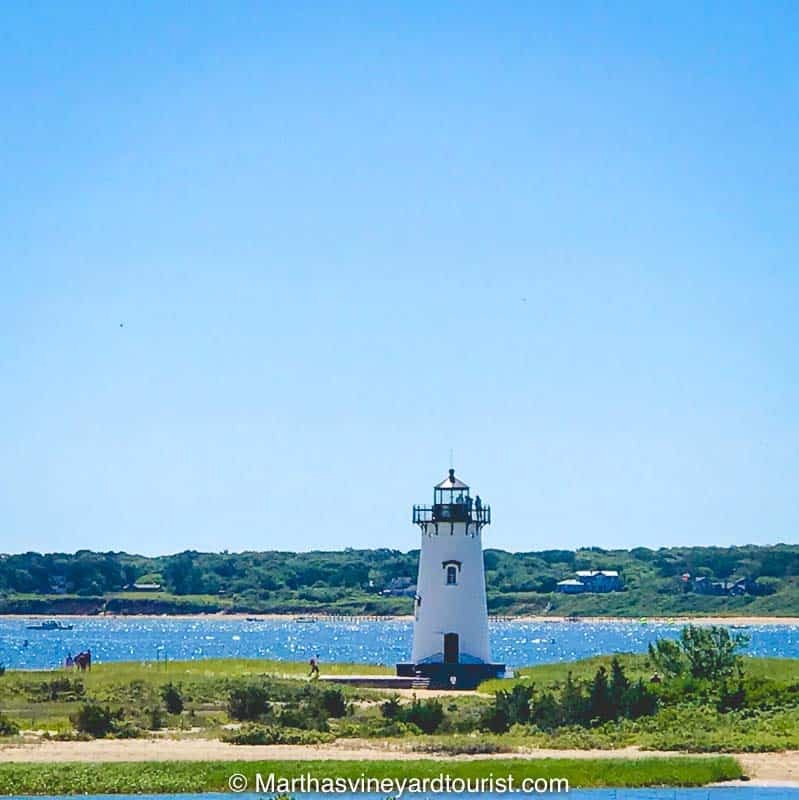 As an island off the coast of Cape Cod, you have to plan how you are getting to and from Martha’s Vineyard. If you want to bring a car onto the island, your choices are limited to the Steamship Authority ferries which leave from Woods Hole on the mainland and go to either Vineyard Haven or Woods Hole on Martha’s Vineyard. There are only a certain number of cars that can make each ferry trip and so the scramble for prime ferry times (Fri/Sat/Sun) during summer weekends is fierce. The Steamship Authority runs the ferry all year round. Out of the summer season, it’s much easier to get a car onto the ferry. There are reduced rates for people who live on the island. Without a car, your options are much more numerous. You can be walk-on passenger on the Steamship Authority Ferry that leaves from Woods Hole. 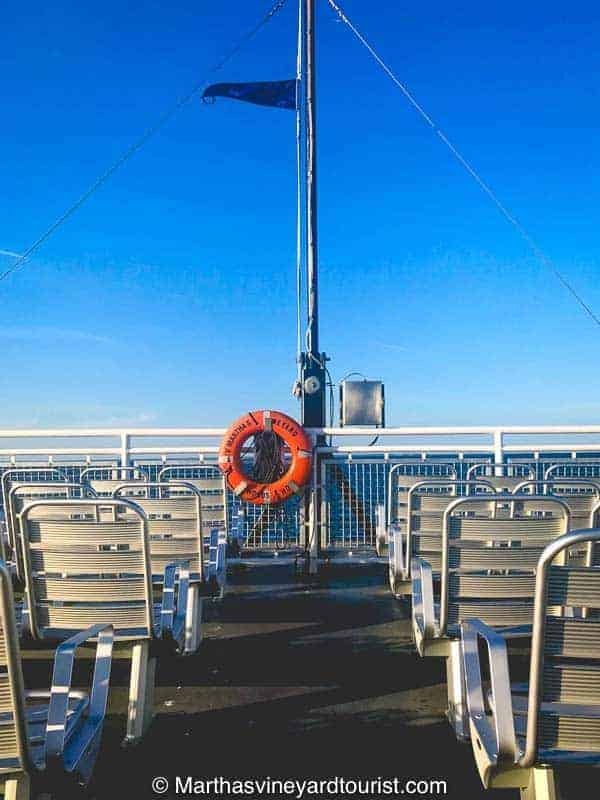 There are other seasonal ferries to that have arrival/departure points in Massachusetts (Falmouth, Hyannis and New Bedford), Rhode Island and New York City. Cape Air serves Marthas Vineyard from Boston all year round. During the summer season, they also fly from other parts of Massachusetts, Rhode Island, New York and Washington, D.C.
Other airlines with seasonal service are Jet Blue, Delta and American Airlines. 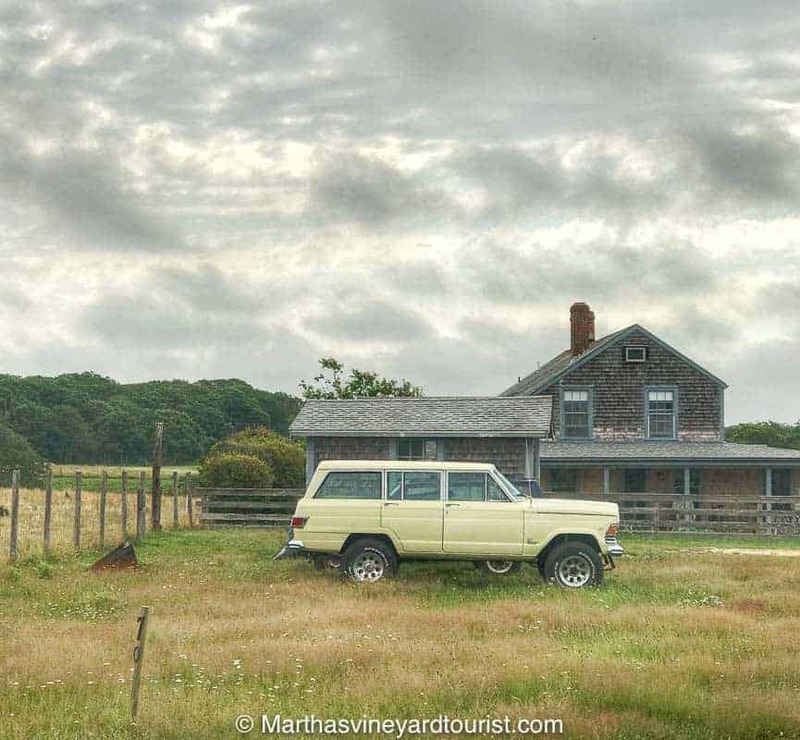 Martha’s Vineyard is an island bigger than it looks. You definitely need transport to get from town to town. 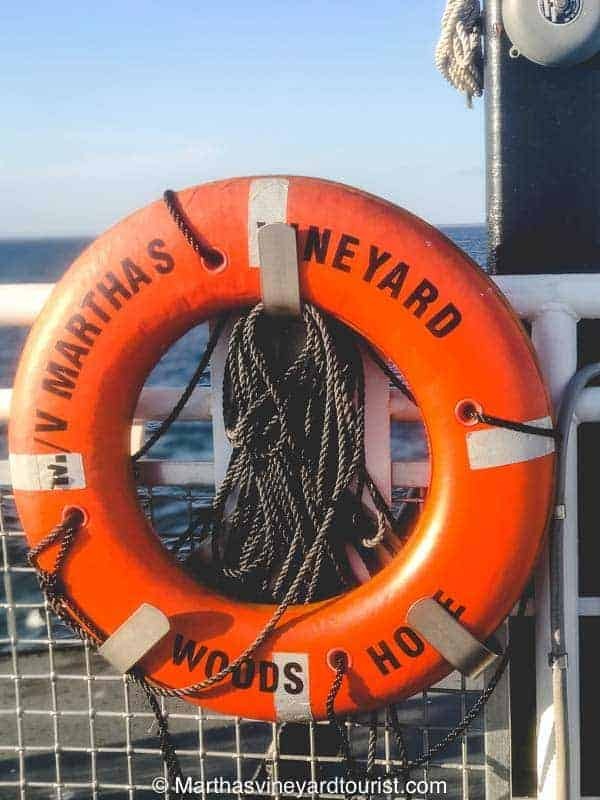 Sometimes people visiting Martha’s Vineyard for the day make the mistake of taking a Steamship Authority ferry into one town (Oak Bluffs or Vineyard Haven) and out of the other town. 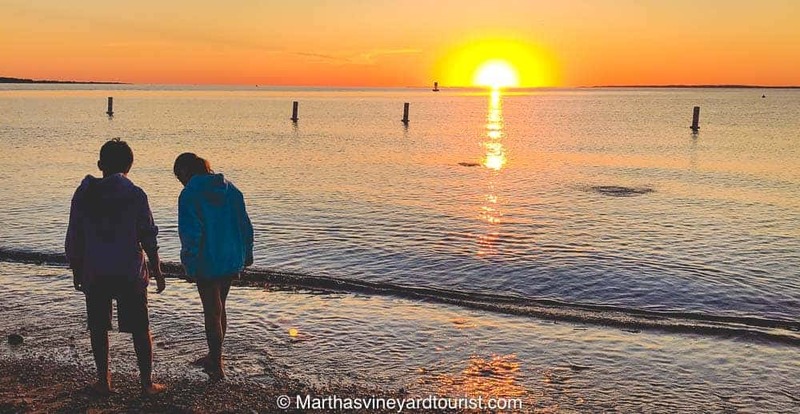 You need to know that Oak Bluffs to Vineyard Haven is a substantial distance especially if you are walking in the summer heat. The Martha’s Vineyard Regional Transit Authority runs buses all around the island. Alternatively there are taxis that can take you around the island. Uber hasn’t really come to the island. Friends who have tried to use it have had very little luck. Rental options from motorised ( cars and jeeps) to manual (tandem bikes, electric bikes, regular bikes). You can rent a car pretty easily from either the Martha’s Vineyard Airport, or the ports at Oak Bluffs or Vineyard Haven. It won’t be cheap though. NB: Any car that you rent on the island you can not return off the island. For example, you can’t take a car from Martha’s Vineyard and return at Boston Aiport. At the end of the summer, sometimes the car rental agencies will let you take a car off island (a car rented off island and then left with them when the renter took an alternative means off the island). Driving on the island is actually pretty easy even if there are no traffic lights. A few years back, there was an uproar when the island put in a traffic circle (a round-about) in a particularly busy 4 way junction. Islanders do not like change. You can also rent bikes from either Edgartown, Oak Bluffs and Vineyard Haven. There are lots of bike paths. Even if you are not on the bike path, cars are suprisingly courteous to bikers. Those crazy drivers from Boston and New York? They are surprisingly polite on the island.